Back from Spoonfest, and internet access restored! Before I went away I had been working on an important stage in making a replica of the Kingsteington Idol. Drawings. They aren’t my drawings. This isn’t a commission. I haven’t arranged to visit the Royal Albert Memorial Museum in Exeter to draw and photograph the Iron Age wooden figure. It’s fragile and very special, best only handled when really necessary. The drawings are those published in Bryony Coles’ (1990) paper about prehistoric carved figures. A colleague very kindly scaled them up for me to save some time. Relying on the published drawings for the form and dimensions of the figure presents problems though. The front, back and one side of the figure only are illustrated. Measurements can be taken from these perpendicular views, providing maximum and minimum but it is much harder to capture intermediate measurements without being able to examine the detail of the changes of each surface. Nevertheless, I have traced the outlines and cut out templates, reversing the single side view to make its pair. To see how these shape up, I have worked up a section of the Idol in a small piece of sweet chestnut. 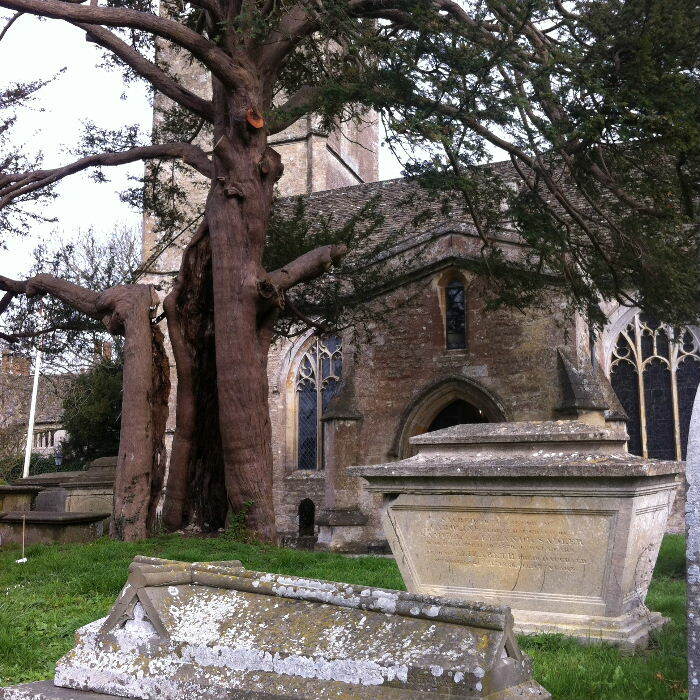 Sweet chestnut can behave like oak (oak is what the Idol is made of) because it has similar properties. Not too shabby, but more work required! This post was going to be about scrapers. Unfortunately most of the literature that I wanted to catch up on is in journals which are proving difficult to get hold of. So it will have to wait. In the meantime, let’s think about oak for the Kingsteignton Idol. This male figure, carved in the Iron Age and left on a ground surface near what is now the River Teign in Devon until excavated by workmen in the nineteenth-century, is made of oak. To make my copy of the Idol, I must procure some oak with just the right characteristics. The Idol was carved from a piece of roundwood – that is, a length of branch. We think this, because the centre of the branch runs right through the middle of the Idol, from crown all the way through the torso. The branch’s growth rings radiate out in concentric circles from this point. The Idol’s head is full of radial cracks like a great star-burst, because of the characteristic way that the roundwood shrank (most likely after the figure was excavated from its waterlogged deposit and dried out). It was also a straight piece of wood, and, as the line of least shrinkage in wood is longitudinal, the Idol when newly-carved was probably not much taller than the 340mm recorded by Bryony Coles in 1991. At its widest point (across the shoulders), the Idol measures a shade under 60mm. Or at least, its drawing in Coles’ paper does; but that’s for another post. Let’s deal with the issue of width first. Oak has a very pronounced heartwood/sapwood boundary. The outer sapwood can be quite thick. 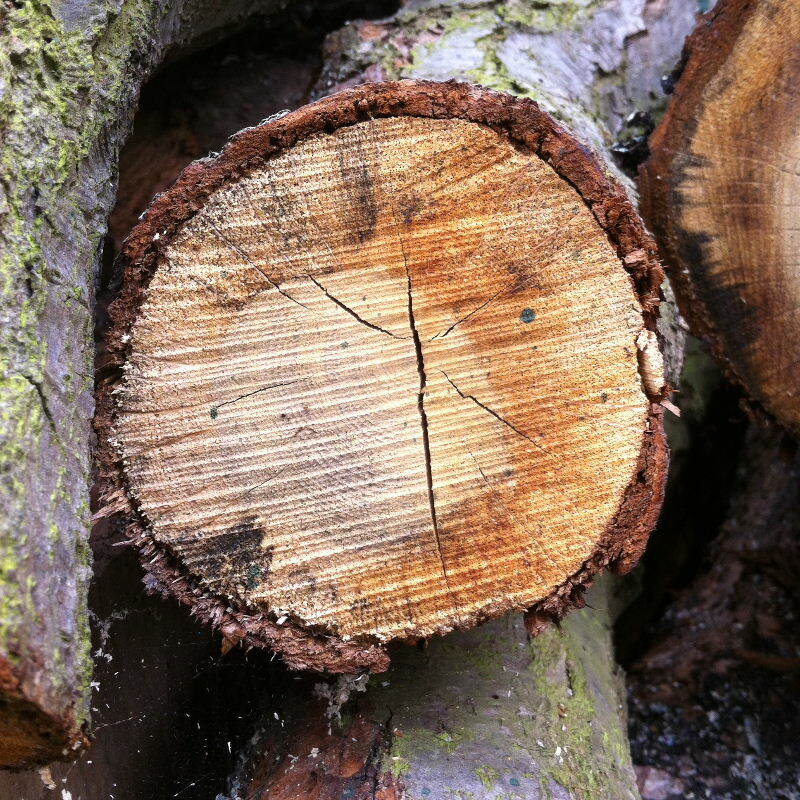 The inner heartwood is dense. 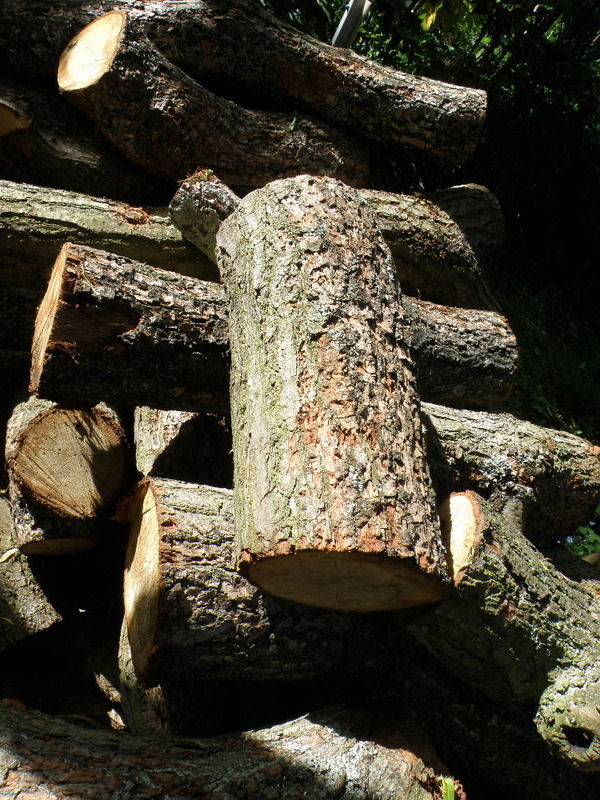 It’s an exaggeration, but axing through the sapwood on the oak I’m using is a bit like chopping through honeycomb; it has a sort of crunchy feeling and sound to it, whilst the heartwood is solid and smooth in comparison. 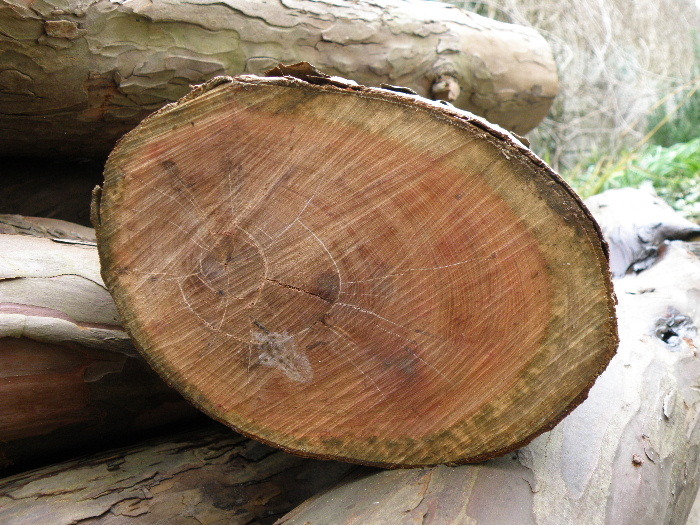 This piece of oak roundwood is about 10cm diameter. The sapwood is really thick, however, so the heartwood isn’t wide enough for me. Not only that; the pith of the branch isn’t in the centre of the heartwood. The Kingsteignton Idol is 6cm wide at the shoulders, with the pith running right down the centre. This branch won’t do! 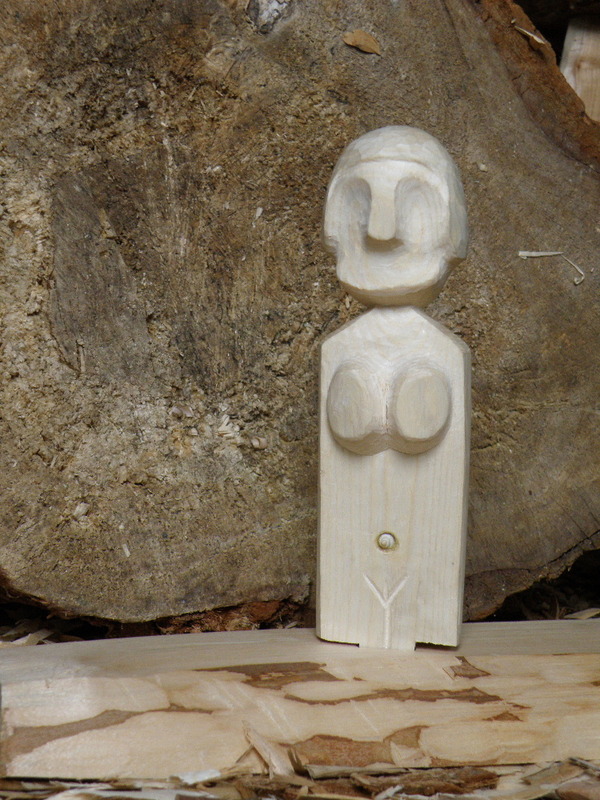 Although neither Pengelly (1875) nor Coles (1991) say, the Idol must be made of heartwood given that the centre of the branch runs down the middle of the figure. Without a close look at the original I am assuming that the whole figure is heartwood, with no sapwood at all left. So although at its widest the Idol is only 6cm, I need a branch that is a good 10cm or 12cm in diameter, maybe more. By the time all the bark and sapwood has been cut away, I should be left with about the right amount of heartwood to work with and some to spare. 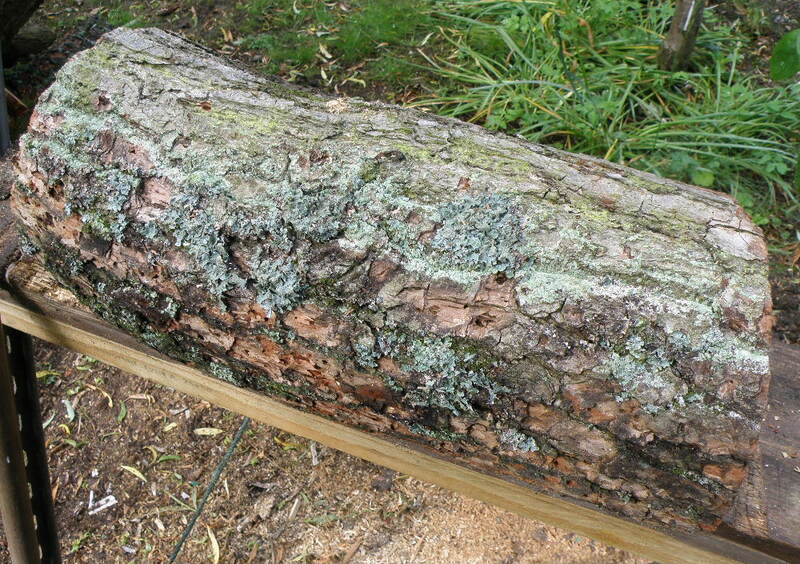 The branch also has to be straight-grained for at least 34cm. Just because a branch looks straight doesn’t mean the grain inside runs true. The grain may run round a knot. If a leading bud dies and a side shoot takes over the growth of a sapling or branch, the grain will bend. These might not necessarily be obvious from the outside of the branch. Roughly chopping away the bark and cutting through the sapwood reveals…all sorts of problems. Freshly sawn – look at that wavy grain. Starting to dry out, and the billet is opening up as the drying, shrinking fibres pull apart. This brings me to the final characteristic that the piece of oak must have. Coles (1991:327-8) argues that the Idol, along with other prehistoric carved figures, was carved from greenwood – that is, unseasoned wood retaining a high water content. Greenwood is great for carving with nice, sharp tools. Mike Abbott (1989,2007:21-4) lists six reasons for preferring to work with unseasoned wood, including the ease with which the softer greenwood can be cut with edge tools. I love it, greenwood carving has a long pedigree, and am very happy to believe that the prehistoric figures were carved – with stone, bronze or iron tools, depending on their age – from greenwood; and that’s what I’ll be using for my copy of the Idol. Tool marks can be left on wood whether it is green or seasoned – and can be removed from both green and seasoned wood (and I don’t mean with sandpaper) if the carver wants a fine, smooth finish to the work (I blogged a bit about this topic here, although that post doesn’t compare unseasoned and seasoned wood).